Trial version has a limited model set. POD Farm 2.5 delivers an arsenal of historic amps and effects, a simple yet powerful workflow, and world-renowned POD tone for any DAW, and runs as a Standalone App so you can simply plug in your guitar and start playing. Hardware Independence now allows POD Farm 2.5 to be used with any USB audio interface. We recommend POD Studio interfaces. They have the lowest latency and best signal-to-noise ratio for guitarists. Dig into vintage and modern amps, cabs, studio-standard effects, classic stompboxes, and colorful preamps. 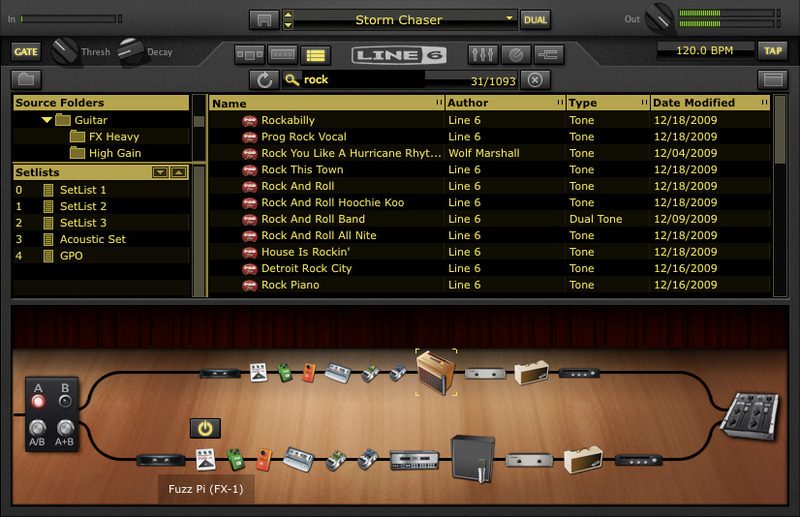 The simple interface includes a carousel-style gear browser that puts every model at your fingertips: dark and smoky American combos, gain-crazed British stacks and beyond. Just drag-and-drop models into the signal flow to find the perfect sound. POD Farm Elements will streamline your workflow and conserve CPU horsepower. Run any single effect outside of the standard POD Farm 2.5 signal chain. Perfect for recording instruments other than guitar. POD Farm 2.5 continues the recording revolution that was sparked 10 years ago by Line 6 Amp Farm, the studio-standard modeling plug-in that forever changed the way guitarists record. It also has full MIDI support via any MIDI controller (including Line 6 FBV Shortboard MkII and FBV Express MkII foot controllers).